What is Swindon famous for? 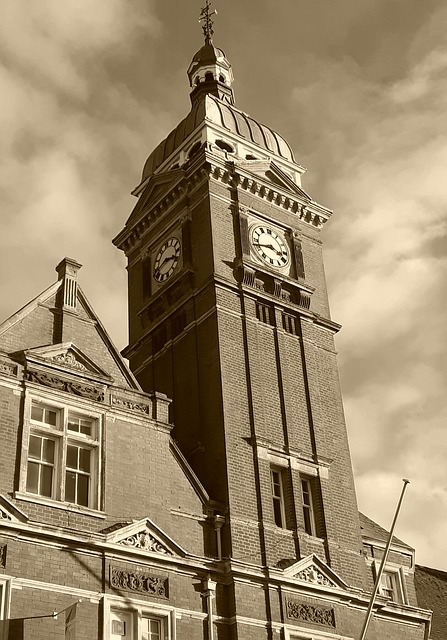 As people have lived in Swindon since the Bronze Age, the town has inevitably produced an array of historical events, buildings, people and places since then. Whilst this list is by no means extensive, we’ve compiled a number of things the town is famous for, which you may or may not know about. Former footballer Dean Ashton was born in Swindon. After coming through the youth ranks at Crewe Alexandra, he transferred to Norwich in January 2005, breaking their transfer record in the process. After a successful 2005 with the Canaries, he moved to West Ham United in January 2006, scoring in the 2006 FA Cup final against Liverpool. He was capped once by England in 2008, two years after his first call-up. Sadly, his career was blighted by injury and he retired in 2009 at the age of 26, after failing to recover from a long-term ankle injury. For those old enough to remember the band XTC, famous for hits like Making Plans for Nigel, which reached No. 17 in the UK singles chart back in 1979 and Senses Working Overtime, which peaked at No. 10 in 1982, they formed in Swindon way back in 1972. Led by songwriters Andy Partridge and Colin Moulding, they have garnered an impressive cult following over the years. Their commercial success was fairly moderate, however much of their output has been critically acclaimed. The band disbanded in 2006. If you’re not a Swindon resident, when you hear ‘The Magic Roundabout’ you might think of the zany 60s TV show with Dougal, Zebedee and the rest of their gang. However, the Magic Roundabout in Swindon is actually a ring junction that consists of five mini-roundabouts arranged around a sixth central, anti-clockwise roundabout! Although, interestingly enough, Swindon’s version derives its name from the 60s TV show. It was voted the fourth scariest junction in the UK back in 2009. Nationwide is the largest building society in the world and its headquarters are located in Swindon. With over 15 million members, it has assets of over £229 billion! This means it’s larger than the other 44 British building societies combined! The Curious Incident of the Dog in the Night-Time is a mystery novel written by Mark Haddon in 2003. The book is set in Swindon and won the Whitbread Book Awards for Best Novel and Book of the Year, the Commonwealth Writer’s Prize for Best First Book and the Guardian Children’s Fiction Prize. If you consider yourself an art connoisseur, you’re probably well aware of the Swindon Museum & Art Gallery already. But if you’re not, you might be interested to learn that it’s home to one of the best collections of 20th-century British art found outside of London. Plus, it regularly puts on a number of special exhibition and entry won’t cost you a penny! Live near Swindon and interested in how you can improve your home? Get in touch with Emerald Windows. Or, for a look at our extensive product range, why not check out our website? We’re currently offering 20% off on all our products to celebrate our 20th anniversary! Category: Uncategorized. Bookmark the article.